Home / News / Will THIS couple win The Indian Telly Awards for the Best Jodi? Will THIS couple win The Indian Telly Awards for the Best Jodi? This year, the awards will be hosted by four immensely talented stars: Nakuul Mehta, Karan Tacker, Meiyang Chang, and Gunjan Utreja. Moreover, actor and presenter Jay Soni will host the red carpet and curtain raiser. One of the most anticipated awards is the Best Jodi Award. We present to you the most popular jodis of television. 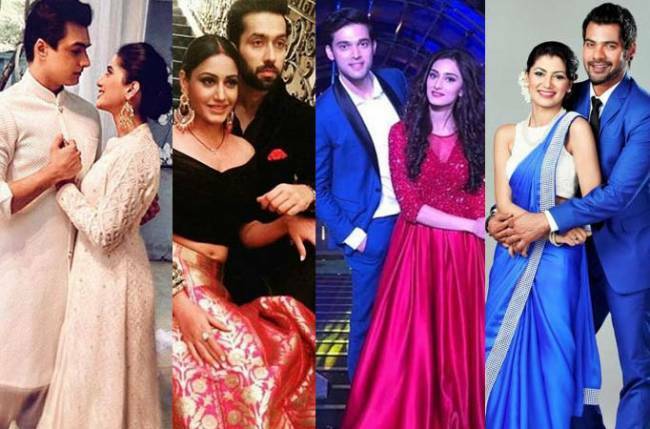 Take a guess and tell us which couple will win the coveted award! One of the longest running shows, Yeh Rishta Kya Kehlata Hai has been on air since 2009. The show was always loved for its beautiful couple Naitik and Akshara. And ever since the writers decided to take a time leap, it started doing even better! Because it is why we have the adorable couple of Kartik and Naira in our lives! The duo, played by Mohsin Khan and Shivangi Joshi, sizzle both on-screen and off it. Shivaay (Nakuul Mehta) and Anika’s (Surbhi Chandna) cute banter in Ishqbaaaz was immensely loved by the audiences. This couple’s love–hate relationship had viewers wanting more and more of them. Anika and Shivaay have gathered much love and appreciation for their characters and chemistry. Star Plus’ Kasautii Zindagii Kay has been winning hearts since its launch with its interesting storyline and twists. Viewers love Anurag (Parth Samthaan) and Prerna’s (Erica Fernandes) chemistry. The couple’s fans even have a name for them: AnuPre. The duo is extremely compatible in real and reel life. This pair is already everyone’s favourite. Television actors Sriti Jha (Pragya) and Shabir Ahluwalia’s (Abhi) love saga Kumkum Bhagya has been popular since it was launched. It had been strong on the TRP charts too. The co-stars has a wonderful camaraderie that helps them portray the intense chemistry on-screen. Next Next post: Shilpa and Govinda performed together after 20 years on sets of Super Dancer Chapter 3!